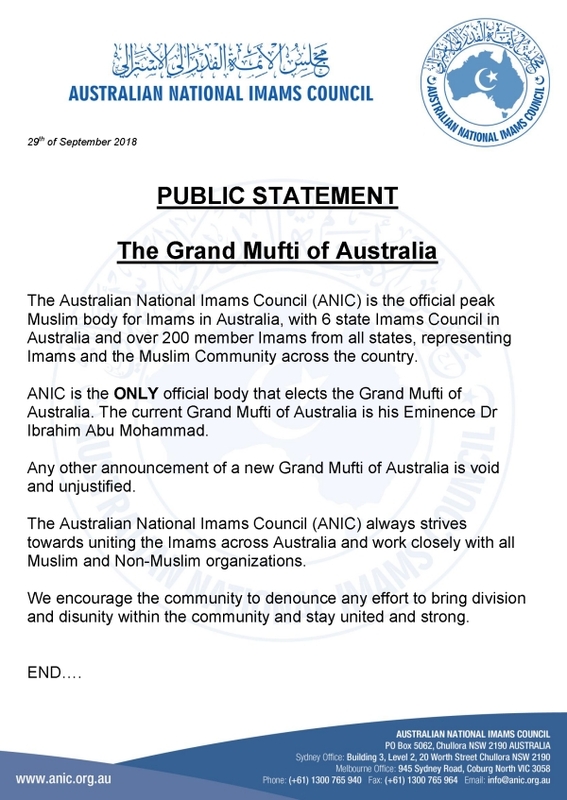 Problem is – there is already an acting Grand Mufti – and not all Imams have been made aware of the move. 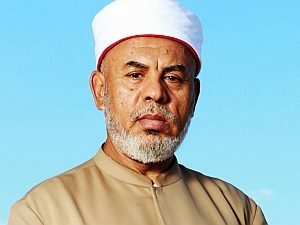 Sources within the Muslim community told The Sunday Telegraph Dr al-Afifi was only appointed as Grand Mufti to allow former Mufti Dr Ibrahim Abu Mohamed to be reinstated as Acting Grand Mufti following Dr al-Afifi’s death. 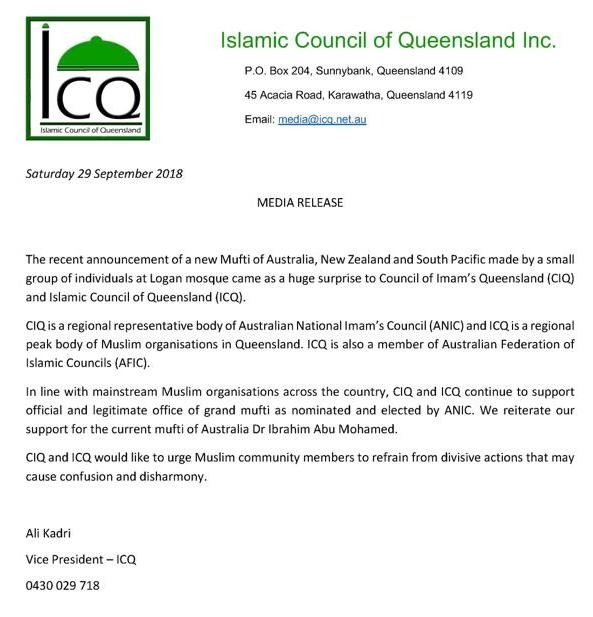 “The position was established through AFIC to defend Islam and Muslims and this title has now become a stepping stone for every fallen person,” he wrote in Arabic. 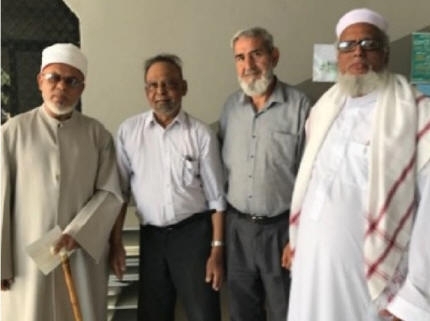 Sheik Taj El-Din Hilaly being declared Grand Mufti by former two term AFIC president Abbas Ahmad, AFIC vice-president Jamal El-Kholed, and Queensland’s long serving Imam Abdul Taub Raza. “They were begging him,” a source said. When contacted by The Sunday Telegraph today Imam Abdul Quddoos said Hilay’s appointment will be finalised following a meeting of Imams in Sydney next week. “We are not ready to announce it in the media yet,” he said. Asked why Hilaly was being reinstated as Grand Mufti, Imam Quddoos said “Because he is the most capable person in Australia (for this post)”. Hilaly’s former spokesman Keysar Trad today told The Sunday Telegraph the move to reappoint Hilaly “has been on the cards for several months”. 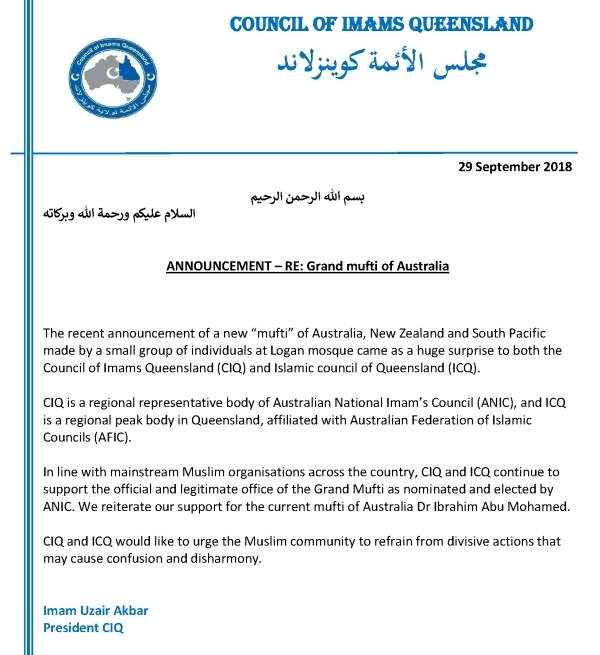 “Discontent has grown over what many in the community see as an exclusive club with musical chairs, known as the Australian National Imams Council (ANIC) and the position of Grand Mufti,” Mr Trad said.